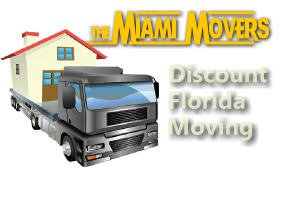 As your Miami area moving day draws closer and closer, you will have to start getting your electronics packed up and ready for the trip. 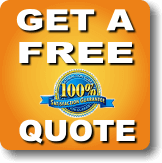 Usually, you will want to leave the electronics packing job toward the end of the process, since you will want to be able to use your devices until you are ready to actually make the move. Since most people rely on electronics on a daily basis these days, making sure yours are packed up safely and moved quickly to your new home is one of the most-important parts of the move itself. Given the high prices of many pieces of electronics on the market today, any mistake in packing could end up costing you hundreds of dollars if your items are damaged or even broken. Taking the extra time needed to carefully pack all of your electronics will provide you with the peace of mind you are looking for. Good packing of all of your electronics starts long before you are even thinking about making a move. When you purchase new items, try to keep the boxes and all of the packaging that comes with them. If you can do this, simply replace your electronics into their original packaging before moving day arrives. Since these packages were designed to transport the electronics originally, they should do the best job of protecting the devices when they are moved from one place to another. If you aren’t using the original packaging to box up your electronics, make sure to pack away each device with its necessary cords and parts together in the same box. You don’t want to have to search for power cords and other pieces when you go to setup everything in your new Miami area home, so make sure it all stays together. By labeling all of your boxes, and even putting stickers on items that go together, you can make it easier to reassemble the system once you are moved in. Using newspaper or other packaging material, make sure everything gets wrapped up and put carefully into boxes. Take extra care to protect the screens on computer monitors or televisions, as it does not take much to damage them. Always go the extra step when protecting your electronics – even if it seems like too much packaging, it’s better to be safe than sorry. If you are going to be storing the boxes for a period of time before they are opened and you get to move in, make sure they are taped up completely so dust and debris doesn’t settle into your electronics equipment. Packing electronics for your move in the Miami area is one part of the job you don’t want to take lightly. Invest in some quality packing materials, and take your time to make sure everything is put in the right box and is fully protected for the trip. If done correctly, you will be able to quickly unpack at your new place and get the system setup for use in very little time.